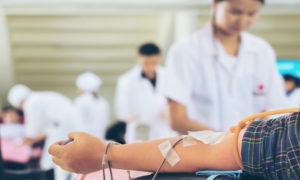 (Cherry Hill, NJ) – The Camden County Freeholder Board’s Parks Department is hosting a blood drive on Jan. 5 from 1 to 6 p.m. at 1301 Park Boulevard in Cherry Hill. Partnering with the Red Cross, volunteers and staff will work to deliver contributions back into the regional blood bank. Donors will receive coffee and a donut courtesy of Dunkin’ Donuts and a Red Cross long-sleeve t-shirt while supplies last. Appointments can be made at www.redcrossblood.org using sponsor code: Camden County.